Playa Zipolite (zippo – lee – tee) is 24 hours south of Mexico City, a south facing beach, sometimes called Playa Nudista, sometimes Playa Muerto. It’s 24 hours if you take the long bus ride, as I did – by mistake – but it made for exquisite timing. The ADO bus from Mexico City arrived in Pochutla on Saturday just as dawn was arriving too. 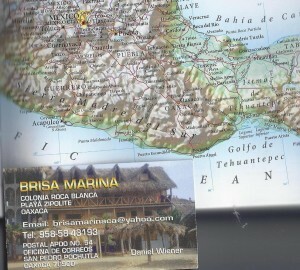 A forty peso ($3 American) taxi ride dropped me in front of the Posada Brisa Marina (the Sea Breeze Inn). My first steps were in the sand. The road the taxi took, Ado Quinado (translated ‘the paved road”), is the only pavement in town. I didn’t wear shoes for a week. As soon as I saw the hammocks under their thatched roof palapas, I knew Mike had not over-hyped this place. Just as I walked through the courtyard and reached the beach, the sun started rising like a red rubber ball over the half-like little mountains, more-like big rocks, piece of land jutting out into the Pacific at the east end of the beach. First the sun took a sneak peek between two of the rock formations and then bounced up into the sky. !Que Magnifico! Sure enough, by the time I got back, the first patron was already sitting at a beach side table sipping from an elegant, tall and white, coffee cup made brilliant by the sun, the red table cloth and her shiny blondish-brown hair. She smiles and invites me to join her. A more beautiful sight, at 8 in the morning, two thousand miles from home, is hard to imagine. !Que Magnifico otra vez! 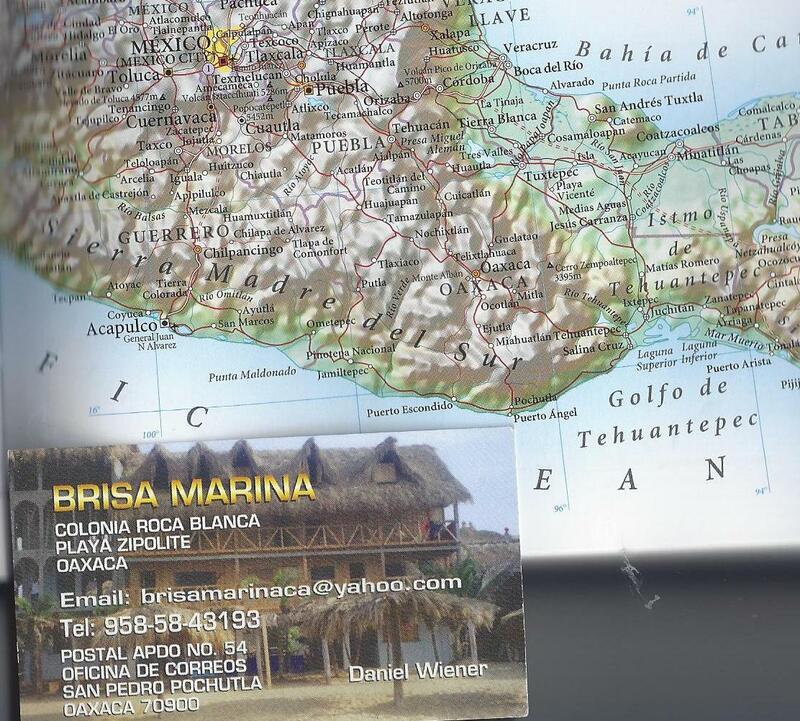 Mike had told me it was a friendly place, as well as a beautiful place, but what happened next is beyond hype – remember I’ve been in town less than an hour – when she asked “Do you want to smoke with me?” The magical reality of Zipolite.